Outotec has won a contract for the delivery of a complete minerals processing plant for a precious metals project in Mexico, as part of wider €30 million ($34 million) order. The company will also deliver process equipment for upgrades of two other sulphide silver ore processes for the same customer. 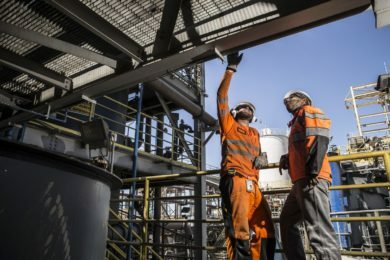 The total value of the contracts booked in Outotec’s December quarter order intake is approximately €30 million ($34 million), Outotec said. The scope of the delivery includes the entire process flowsheet of grinding mills, flotation machines, concentrate and tailings thickeners, as well as concentrate filters, automation, and various spares and supervision services for the new precious metals concentrator. For the upgrade of existing silver processes, Outotec will deliver additional flotation machines and multiple fine grinding equipment for improved recovery. The deliveries will take place in the end of 2019, Outotec said. The company was also recently awarded a pressure leaching and solvent extraction technologies for a battery chemicals plant to be built in Sotkamo, Finland. The total order value booked in the December quarter order intake for this contract is some €34 million.